Luminance, a complete workflow for HDR imaging, finally got a new release more than three years after the last. 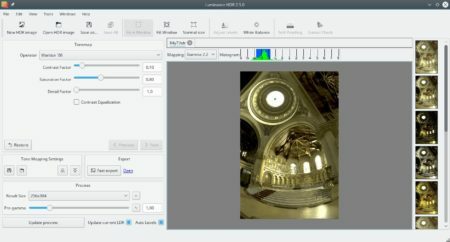 Luminance HDR is a graphical user interface (based on the Qt5 toolkit) that provides a complete workflow for HDR imaging. 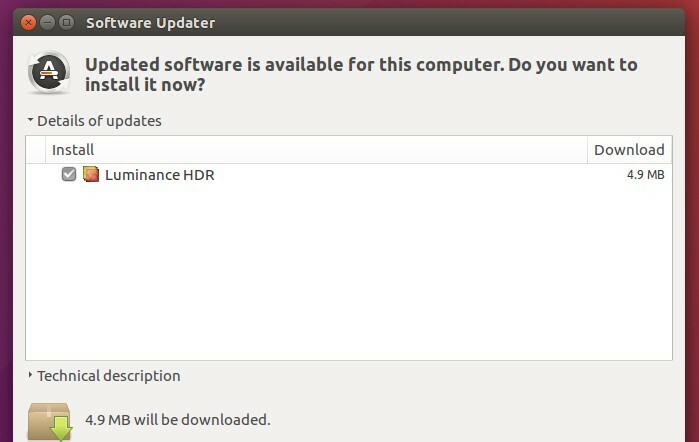 It supports following HDR formats: OpenEXR (exr), Radiance RGBE (hdr), Tiff formats: 16bit, 32bit (float) and LogLuv (tiff), Raw image formats (various), PFS native format (pfs). And it supports JPEG, PNG, PPM, PBM, TIFF, FITS LDR formats. For Ubuntu 16.04, Ubuntu 16.10, Ubuntu 17.04, and their derivatives, the 2.5.0 release is available via the PPA repository.